Last weekend we attended WEYFEST 2016 – it is the 10th Anniversary of this perfect family-friendly three-day festival held each year at the Rural Life Centre in Tilford, near Farnham in Surrey. 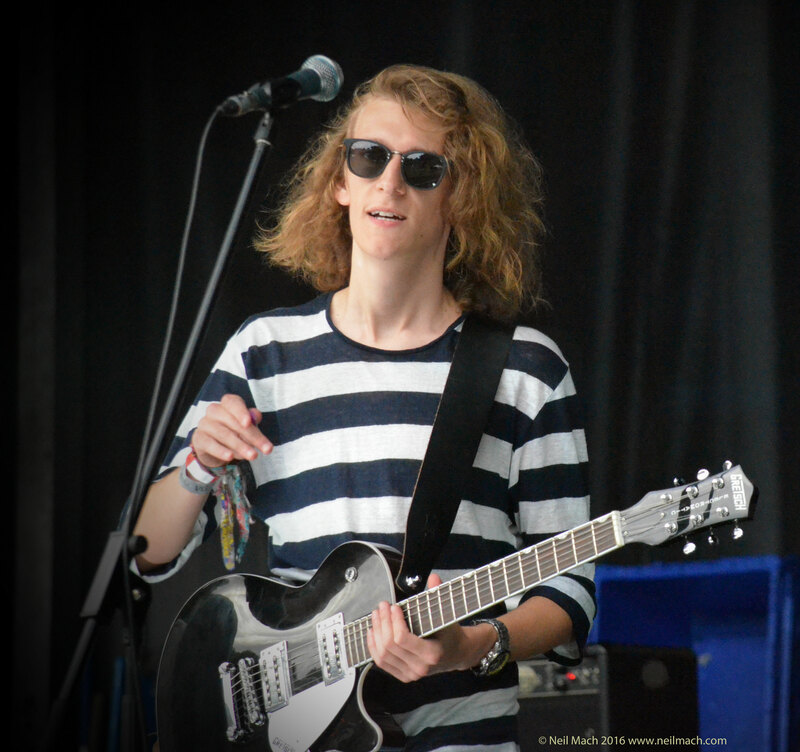 [@Weyfest ] We arrived on Saturday. Opening the Main Stage at the Weyfest on Saturday was the superior SAIICHI SUGIYAMA band [@SaiichiSugiyamaBand] a Surrey outfit that was started by British blues guitarist Sugiyama in the late 1960s and early 1970’s. Their funk/soul sounds are ornamented by rich and fluent guitar-work while the band also boasts some extraordinaryly talented female vocalists. For example, at the Beekeepers Stage we were entertained by the passionate Artze Monica and the Californian beauty Joanna Pearl. Songs like their “Somewhere Down The Road” possessed ribald squelches and fervent heat. In fact the first time we saw their excellent show was at the Bearded Theory fundraiser in Guildford years ago. We also caught them at Cropredy. This year they have been exuberantly celebrating their tenth year in existence… though they have had a few ‘make-overs’ during the decade. 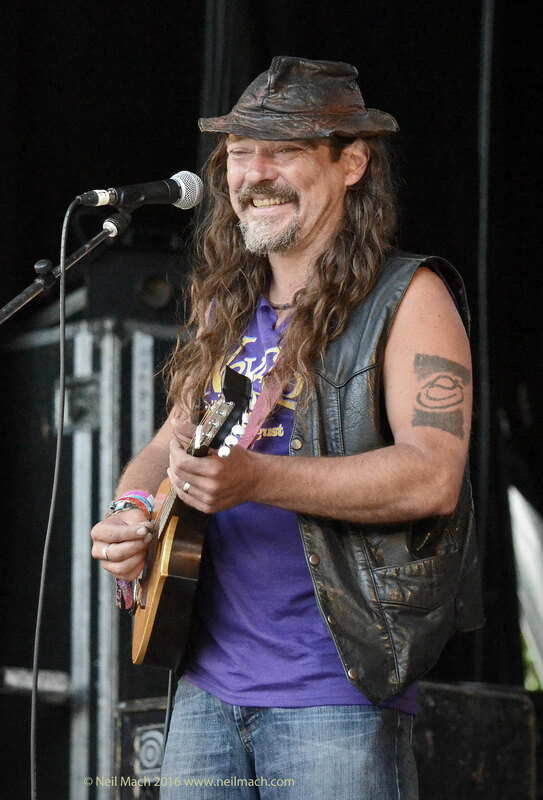 We thoroughly enjoyed their impressive folk-rock show and loved Leon’s solo. We were surprised how much we adored THE WURZELS. They were on after Leatherat. We hate to admit it, but this was the first time we had ever seen ’em. Before this show we pretty much wrote off the West-country lads because we assumed [perhaps rightly] that they were just a ‘novelty band’ and it’s true their show at Weyfest was full of silliness and comedy. But actually, we dare suggest, they can actually play. And certainly they are great performers. We were pleased to see that Darth Vader boogied to the silly beats. Incidentally, most of their melodies have been brazenly nicked from other more-famous numbers… then decorated with the legendary West Country burr. 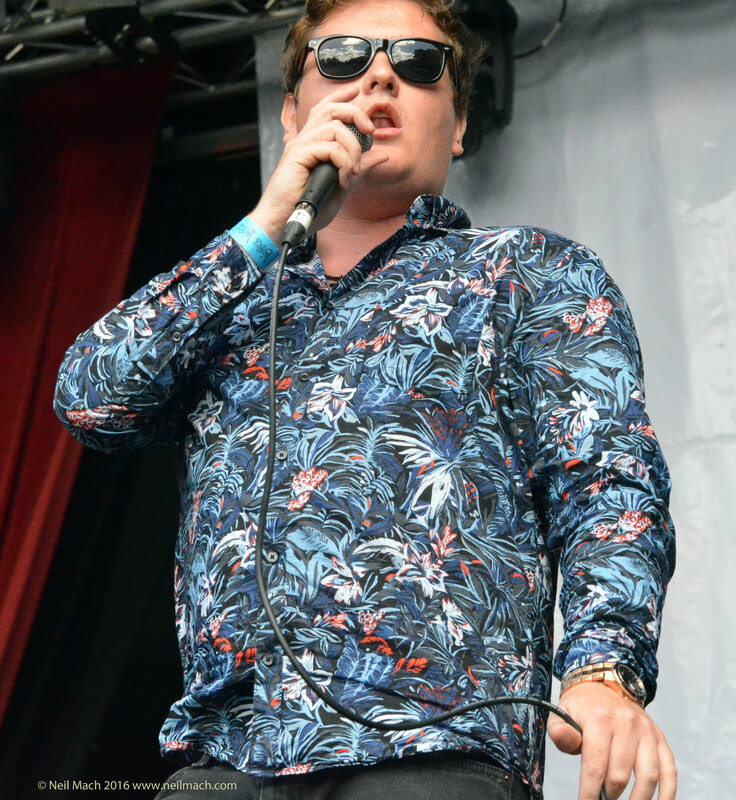 We have been following Birmingham alt-rockers THE ROOZ @theroozofficial for a while so we were pleased to see the lads at Surrey’s best music fest. Songs like their recent single “Puncture” had soaring heights and sparkling guitars. Over at the Old Kiln Stage was the Surrey Hills Ukulele Big Band aka SHUBB. This orchestra of blighty souls armed with ukes and pipes entertained the ukulelian crowd with masterful professionalism. Of course most revellers had come to see WISHBONE ASH and THE DARKNESS but there were plenty of other sights and smells to be enjoyed. Not least were the roaming daleks, The Racing Bug challenge stall [to win a scalextric] and even a Laser Quest area. Our favorite side-show was the THE WIDDERS those purple-clad border Morris-Dancers from Chepstow [@TheWiddersBM] who stomped , cracked and clapped seven barrels of sh** out of each other. 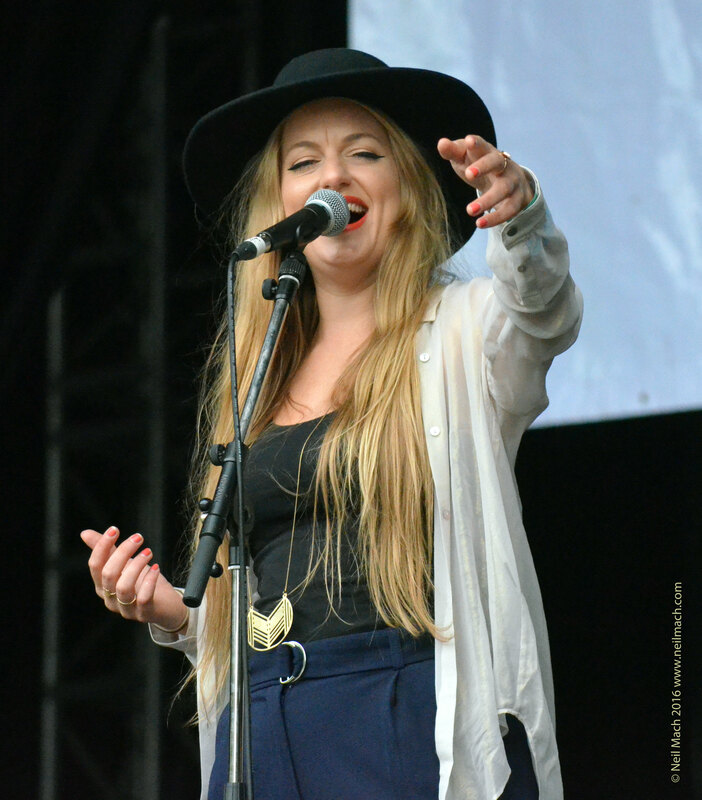 We looked forwards to the show from JO HARMAN [@joharmanofficial ] on Sunday. She drew a large crowd even though she was on stage early-on. Her songs, for example the Hendrixy number “The Reformation” got folk up and dancing… Jo is quite something! She is playing an extra special show at St John’s Church Godalming, October 14th. Info on her site. On at the Old Kiln were Portsmouth’s indie rock ‘n’ rollers THE BAYONETTES whose complicated yet accessible songs were lucid and effective. INGLORIOUS were unable to perform at Weyfest, due to illness/injury. 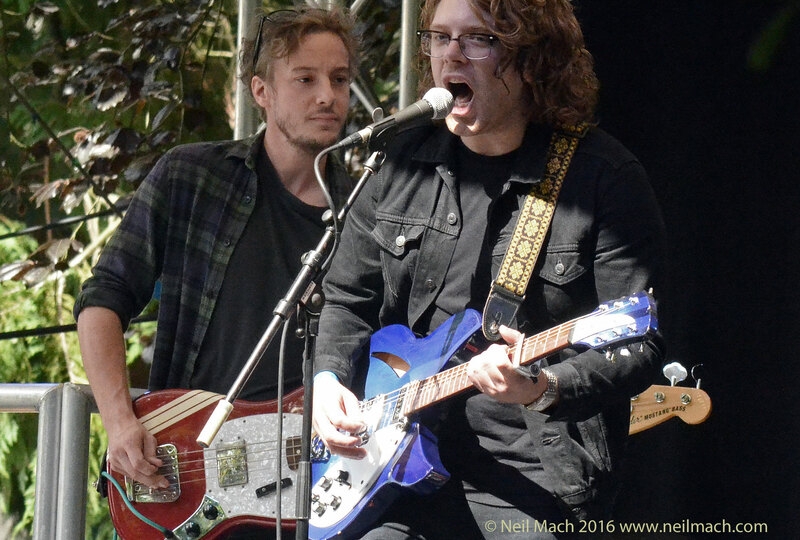 Luckily, in their place we had the incredible BROKEN WITT REBELS [@BrokenWittRebelsUK] whose trusty-rusty roots ‘n’ ashes blues ‘n’ soul numbers oozed into our glands… It was as if we were seeing Led Zeppelin for the first time! Circa 1968. No I’m not kidding and this is not hyperbole. This young blues-rock band from Birmingham with the amazing Danny Core on vocals are that good! After that we had the BLOW MONKEYS and the BOOMTOWN RATS to enjoy. This was an excellent festival. With artists of quality, lots to do and see (in addition to the music) plenty of good food and drink and expert organization and administration. WEYFEST is probably the best managed event we have been to all year! So congrats to all the team at WEYFEST. Happy tenth anniversary.